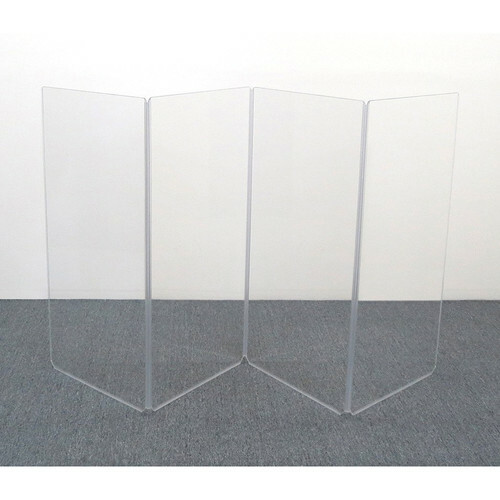 The A4 4-Section Acrylic Panel from Clearsonic are made from 1/4" thick acrylic and help reduce drum bleed into microphones (vocal and instrument) for a better sound experience. The A4 is ideal for drum sets without cymbals. The 4-panel configuration has accordion-style folding for easy storage, setup, and dismantling. In order to ease wiring, cable cut-outs are located between each panel. Box Dimensions (LxWxH) 50.0 x 27.0 x 4.0"